Check out our Storage Unit Size Guide Click Here! Galax Virginia's Newest Self Storage Facilities serving Southwest VA. STORAGE EAST is available to serve the east side of Galax, Carroll County, Woodlawn, and Hillsville, VA. 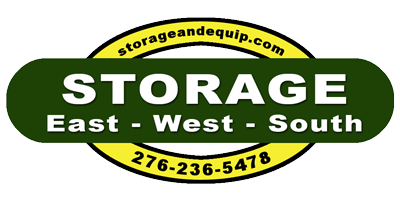 STORAGE WEST is available to serve the west side of Galax, Grayson County, Independence and Fries, VA. STORAGE SOUTH is available to serve the south side of Galax, Fairview, Pipers Gap, the Blue Ridge Parkway, and North Carolina. All 3 locations are 10-15 minutes from Exit 14 on I-77. They Feature Great Night Lighting, Sizes available up to 10X30's with 24 Hour Access! Please call us at 276-236-5478 if you have any questions!